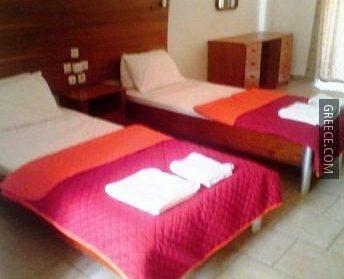 The Coliseum Studios & Apartments is conveniently positioned in Pefkos, and provides a Jacuzzi and a swimming pool. Facilities at the property include wireless internet and a safe. Guests can also cool off in the swimming pool and enjoy a beverage at the poolside bar. The property offers apartments equipped with a TV and cable / satellite channels. Guests can enjoy a beverage at the property's on-site bar, before savouring a meal in the restaurant. Alternatively, there are a choice of dining options around the property. The location of the property means guests can easily reach many tourist attractions on foot. Lardos and Lindos are just a quick drive away for those guests with a car.